I have looked all over, and not found a list of verified compatible SD and CF media for Ultimate Cart (SD) and Incognito/SIDE (CF). Is there such a list? If not, let's start one here. For example, I am using red & blue style Sandisk 4GB SD card and 1GB CF. They work well, but the CF is getting full and I want to know what to buy to replace it with a larger one. Also, in the Ultimate SD cart thread, a Toshiba FlashAir SD card was mentioned. I found both W-02 and W-03 versions of this available. I ordered the W-03 version in hopes that it will work. The thread didn't mention what version it was that is known to work, although the link pointed to a W-03, so I'm hoping I don't get burned again. So, the question is: What media do YOU use? And, just as important: What media is to be avoided? If you find something which works, buy more of them. Red and grey Sandisk Ultra cards work well, as do the red and blue labelled cards you mention. Avoid Kingston "Flower" cards and anything by lesser-known manufacturers unless you can afford to gamble. I have a 2GB "Peak" card here, for example, which works fine with Incognito, but other lucky-dip second hand stuff which doesn't work for crap in anything A8-related. Sandisk CF media gets my unreserved recommendation. I have a purple Verbatium 256MB CF which works great and a Kingston 4GB Flower card that says 2008 X001 on the back that works great, I purchased a few more Kingston 4GB because the one I had worked, on the back it says 2014 X002 and they wont work at all inside the Side2. That more or less correlates with my expectations regarding Kingston cards. I have a red/gray Sandisk Ultra in mine but jeez, it's damn near ridiculous to have an 8GB card for an 8-bit system. As it is, I have 8 x 64 megabyte "drives" for use with SDX/SIDE2, a bunch set aside in the FAT partition for .XEX and .ATR files, and still more space than I'll probably ever need. ...Avoid Kingston "Flower" cards and anything by lesser-known manufacturers unless you can afford to gamble. I have a 2GB "Peak" card here, for example, which works fine with Incognito, but other lucky-dip second hand stuff which doesn't work for crap in anything A8-related. This is discouraging...I read somewhere else (forget where) that 4gb Kingston Flower CF cards would work with Incognito. I ordered one to have ready when the board arrived. Fortunately, the one I am using works fine. It is partitioned properly with no issues. Perhaps I gambled and won? Edited by RodLightning, Sun Mar 27, 2016 3:11 PM. It seems you gambled and won, yes. I just recall the Kingston Flower debacle from years back when hardware was being developed. I'd never seen any until last week when I spotted a bunch of them on sale in a shop in Sunderland. I decided to pass. I can also confirm that I tried an old 64MB Transcend card that didn't work either. I also had a Lexar 1GB card that didn't work. I think all of the SanDisk cards I have worked with it. I ended up using one of my 128MB SanDisk cards with it, since it had more than enough space for what I was doing. Edited by MrFish, Sun Mar 27, 2016 4:08 PM. So far, bugs and myself have Kingston CF cards produced in 2008 that are working with SIDE and/or Incognito. Maybe something changed design-wise since the CF produced in 2008? In any case, I will get a Sandisk should I decide to buy another CF card. Nobody seems to ever complain about those. I use a Sandisk 2.0Gb Compact Flash in my Incognito and have never had any issues. EDIT: It has a red and blue label in case that makes any difference. Edited by spookt, Sun Mar 27, 2016 5:49 PM. I wonder if there is a way to find out the real manufacturer of a SD or CF card. On the other hand, I never found a card not working on MSC IDE Controller or IDE+ Rev C. But I came across an issue I mentioned a few times with other topics. Shortly it drove me mad again while setting up new (used) 1 GB CF cards for testing SDX 4.48c/d while working on the user guide. The final solution was that I had the cards formatted under Linux in Ext4, thereafter a full format in Windows 7 and then they were really usable. Since this is not the first time I experienced such crazy hassles my guess is that many of those cards reported not to be working might have a problem being correctly (soft-)formatted by Windows after having being used for some other issues in before. To me it seems as if the cards are not really formatted but get some data written to them which might not get spotted by FJC's APT or Draco's FDISK and therefore cause issues when used on A8. Another related issue with the IDE+ Rev C and older is, that the buffer LS 245 causes troubles with many CF-/SD-card adapters and therefore the impression might be, that the card is not working properly. If this is fixed by dismantling the buffer and just closing the gaps by wire, it works like a charm also with hard drives. If you come cross a non-working SD-/CF-card, please try to scratch the format and format it anew as the example above, it should work thereafter except it is malfunctioning by origin. 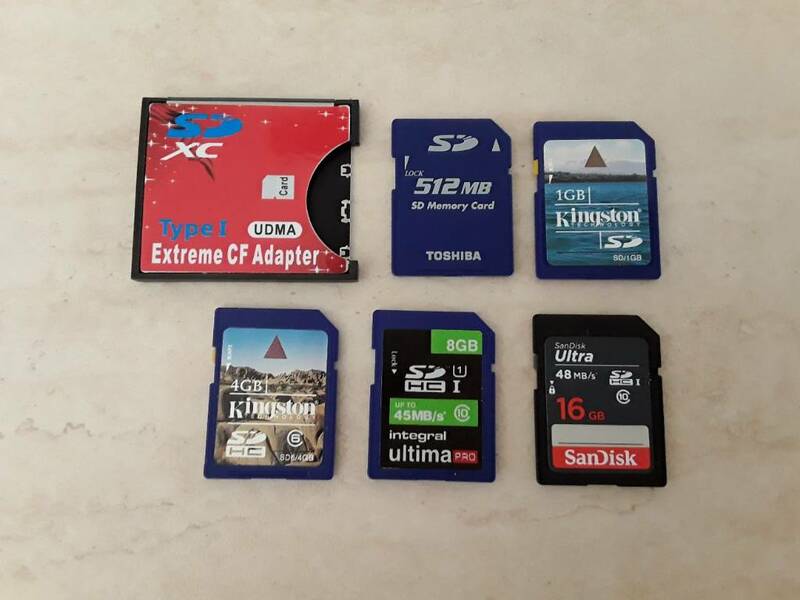 Currently I use 512 Kb, 1 GB and 4 GB no-name CF cards and 2 GB no-name SD cards. Edited by GoodByteXL, Sat Apr 9, 2016 5:47 AM. Will this Sandisk Ultra 16 gb CompactFlash card work with the SIDE2 ? The 8GB version works in both my XEL-CF-II (in my 1088XEL) and my SIDE2 cart. I hope the 16GB version works too - I need to buy two new cards next weekend and the 8GB version is now twice as expensive. Edited by DrVenkman, Sat Apr 6, 2019 10:40 AM. I know the SanDisk 16GB shown works fine in both the XEL-CF3 as well in the 1088XLD, but hot plugging it can cause problems on the CF3. Haven't tested it on a Side2. Edited by tane, Sat Apr 6, 2019 1:03 PM. Another question: can the SIDE2 use Compactflash I and II cards ? It's possible one would fit with the case removed, or if the slot in the case is enlarged. If anyone would like them, PM me, you can have them for the cost of postage. I have a great lot of Transcend x133 Compact Flash cards (4gb, 8gb and 16gb capacities) bought during the years I was involved with Atari St/Falcon and Amigas. Unfortunately, none of them works on my Side2! But, I had a couple of sd-to-CF adapters and I gave it a try. All my sd cards work just great! Partitioned via U1mb and Side2 SDX FDISK for APT, Fat16 and Fat32 partitions. No problems so far, on SDX or Loader. 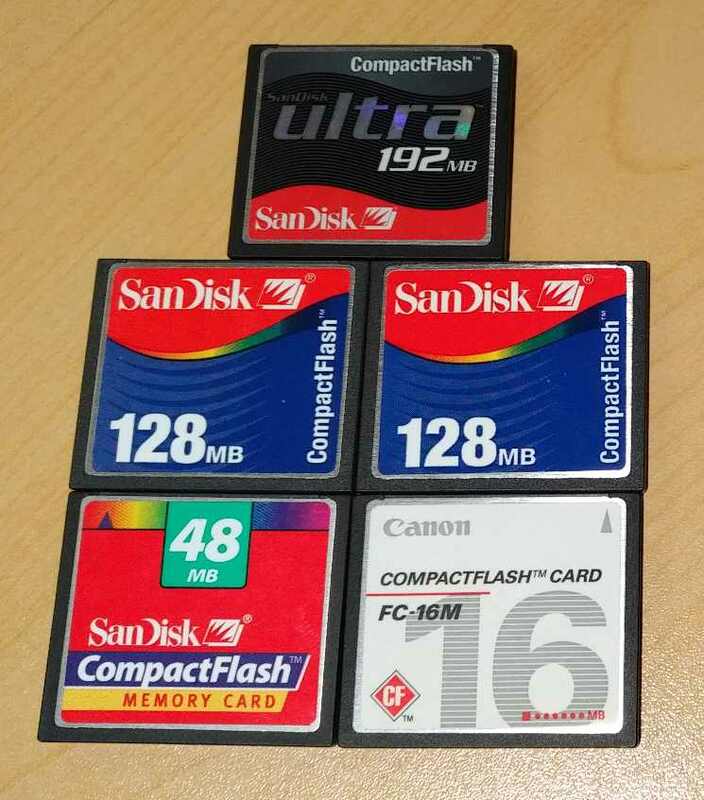 But sd cards are quite notorious for getting corrupted easily, so I plan to buy a couple of real Compact Flash, preferably Sandisk Ultra which I checked that work fine on Side2. I attach a photo of my cards and adapter, maybe of interest for anybody. Transcend and Kingston 'Flower' cards are best avoided. And the "non flower" Kingston CF cards ? Are they still good to use with the SIDE2 ? Personally, I wasn't overly worried with maximum capacity for my Ultimate Cart, since I only plan to use it for cartridge images and xex files. To that end, I knew my 32GB SD card would likely hold every single cartridge and xex image I could ever hope to find, several times over, as well as scanned images of the documentation for all of those titles if I choose to archive them on the same card. I bought a SanDisk Ultra 32GB microSDHC UHS-I card with Adapter, part number SDSQUAR-032G-GN6MA, to use with my Ultimate Cart, and it works flawlessly. I've had considerable luck with SanDisk media for years and I use them almost exclusively except for in my dashcam, where the manufacturer suggest not using them due to read/write speed issues. I use a Lexar 128GB SD card in that. Otherwise, I'm a SanDisk man for portable/removable media. I have no idea, since I've never owned Kingston branded Compact Flash media. I only know of the headaches caused for others by the 'Flower' cards (especially with SIDE1, but I wouldn't bet on them working with SIDE2 unless someone has evidence to the contrary). I have Transcend CF cards (256MB capacity) which are flaky as well. All my SanDisk cards are completely reliable. This 970MB archive appears to contain the lion's share of titles created for the A8 platform, and comprises ~17,000 ATR and XEX files in ~5,000 folders. I wanted to make sure the new loader can recursively search the entire directory tree in a timely and efficient manner, and I regard this as an extreme test case. Nevertheless, the whole lot fits in a 1GB FAT partition. Even if this collection doesn't represent every single game ever written for the A8, or supposing one wanted to add folders containing productivity software to the same volume, I still doubt it would be possible to fill more than around 2GB of space. My favourite media is a pair of 4GB SanDisk Ultra 30MB/s CF cards bought new from Walmart, when CF cards were still available in the high-street. In any case: the buck regarding SIDE2 card compatibility should probably stop with Lotharek, who - as the hardware vendor - should be able to offer some assurances and insights regarding the optimal choice of media. He appears to favour SanDisk, in any case. The notion that malfunction might have anything to do with drivers has been comprehensively discredited via years of development and testing. Edited by flashjazzcat, Mon Apr 8, 2019 11:11 AM.